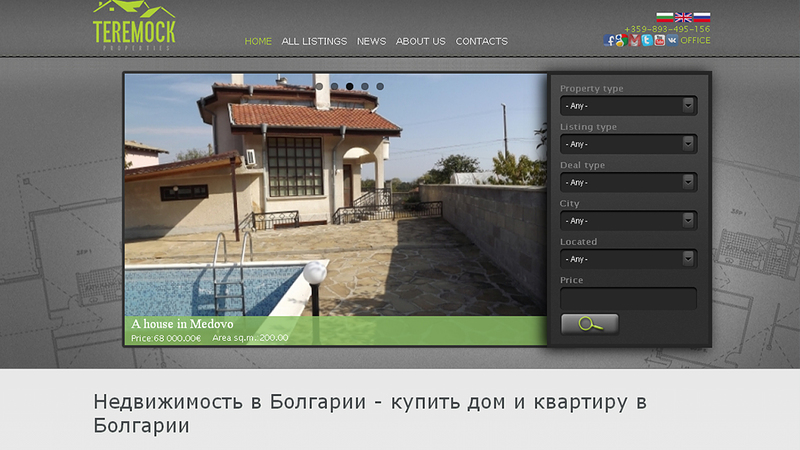 Homesbulgaria.ru is a website which we developed for a real estate company operating primarily in Sunny Beach, Nessebar town and the region. The site includes online search for various characteristics of the properties and module for positioning the properties in Google Maps. The site is in three languages​​: Bulgarian, English and Russian. Уеб сайт за недвижими имоти "Tochev & Co."
Уеб сайт за недвижими имоти "SWAN"
Уеб сайт за недвижими имоти "Nikos Property"
Уеб сайт за недвижими имоти "IMMO Partners"